Christ college is accredited as an A+ college by both National Assessment and Accreditation Council (NAAC) and by University Grants Commission (UGC). The Christ law college provides all facilities to its students such that students are able to carve a niche of their own in the legal fraternity. These facilities include an award winning campus, a library with more than 70,000 volumes of books and journals, a sports arena for volleyball, hockey and basketball, conference halls, seminar rooms, an auditorium and a garden. The law course of this college is an integrated five-year course. Christ law college offers 300 seats of BA.LLB and BBA.LLB combined. This article will talk about the first step in the 2018 admission process which is checking if one fulfills CULEE exam eligibility criteria 2018. Once you are done with Eligibility Criteria, Check the Exam Pattern for the better understanding of the Law Entrance Exam. Why you should fulfill the eligibility criteria? 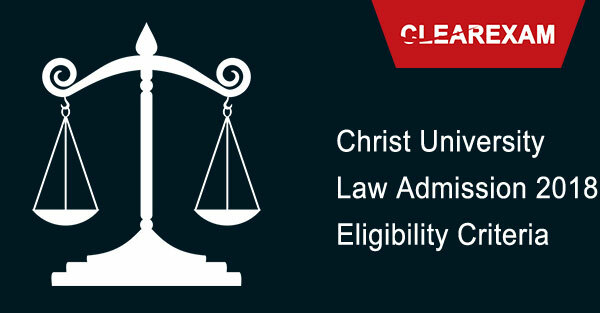 Read Christ University Law Entrance Exam details here. Go through the post to know the CULEE 2018 Eligibility Criteria Details.